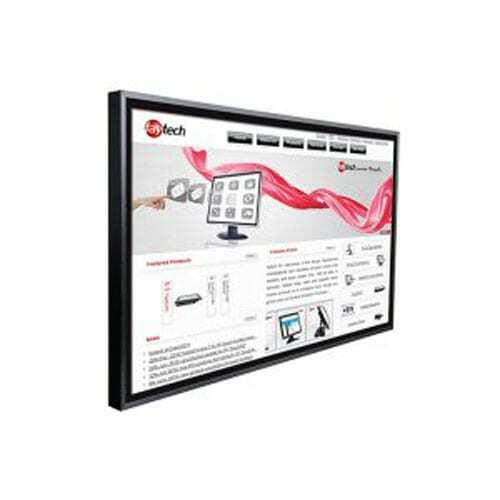 The faytech NA 32″ Capacitive Touch PC systems are manufactured with fanless technology for maximum silence, enhanced reliability and quality design work. faytech’s capacitive touch screen PCs stand out among the competition with their durability, quality and performance. 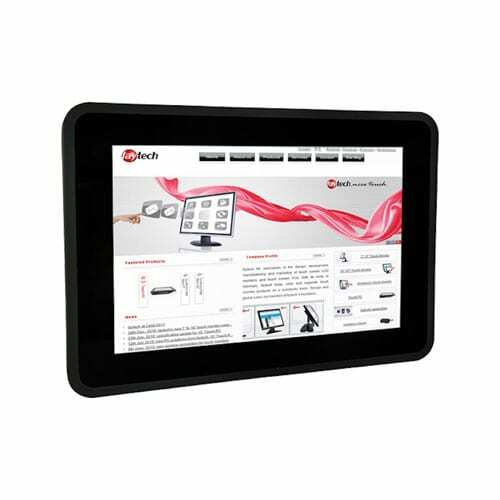 These 32″ Capacitive Touch PC are the perfect solution for most industrial and commercial settings that can benefit from adapting capacitive touch PC technology. These large-sized capacitive touch PCs are manufactured with edge-to-edge glass and a sleek, streamlined look. The faytech displays are fitted with IP65-rated dust proof and water proof panels for enhanced functionality in numerous different environments. faytech’s 32″ large capacitive touch PCs have sturdy aluminum cases manufactured from continuous casting molds; ensuring endurance during excessive use. faytech’s capacitive touchscreen PC series uses standard consumer/industrial connections such as: the standard four serials, USB 3.0 port, and 8 GPIOs. These 32″ capacitive touchscreen PCs are built upon the faytech industrial fay-002 mainboard technology with an Intel 2.42GHz Celeron™ J1900 QuadCore processor. The standard faytech capacitive PC comes with 64 GB SSD drive, 4 GB of RAM, and Intel’s HD Graphic chipset (perfect for FullHD, DirectX 11.1 and OpenGL 4.0). 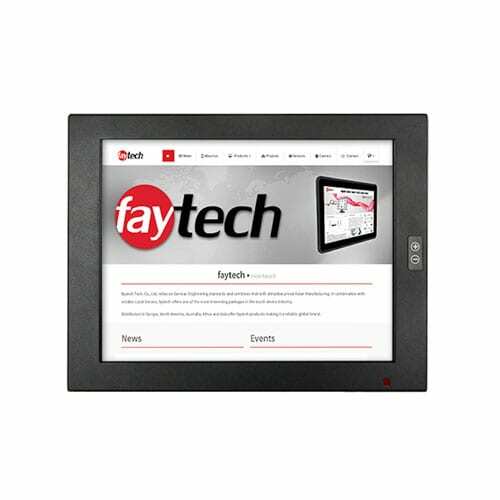 The faytech 32″ large-sized capacitive touchscreen PC system works tremendously as a large point of sale interface, controls for automation interfaces, industrial operation interfaces, touchscreen kiosks, and as retail store touch screen interfaces. A large capacitive PC system is a great addition to the classroom, universities, the hospitality industry, in real estate as digital signage, retail stores, entertainment and numerous other use scenarios. The faytech NA 32″ Capacitive Touch PCs could be the perfect addition to a production area requiring streamlined functionality with touch screen displays large enough to see from a distance. The faytech 32″ capacitive touch PC can be mounted on a wall or a stand, and it provides a computing solution that makes appropriate use while still being highly visible. 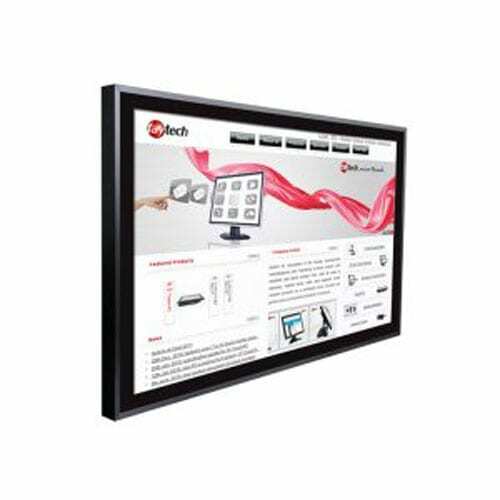 The 32″ large capacitive touch PC solutions by faytech makes them an excellent system to manage operations in environments that are space sensitive, yet require oversized displays that are highly visible. The processing power of the 32″ Capacitive Touch PC makes them a solid investment that is applicable to a wide range of commercial, industrial, educational and manufacturing environments that require speed, performance, power and the optimized usage of space. 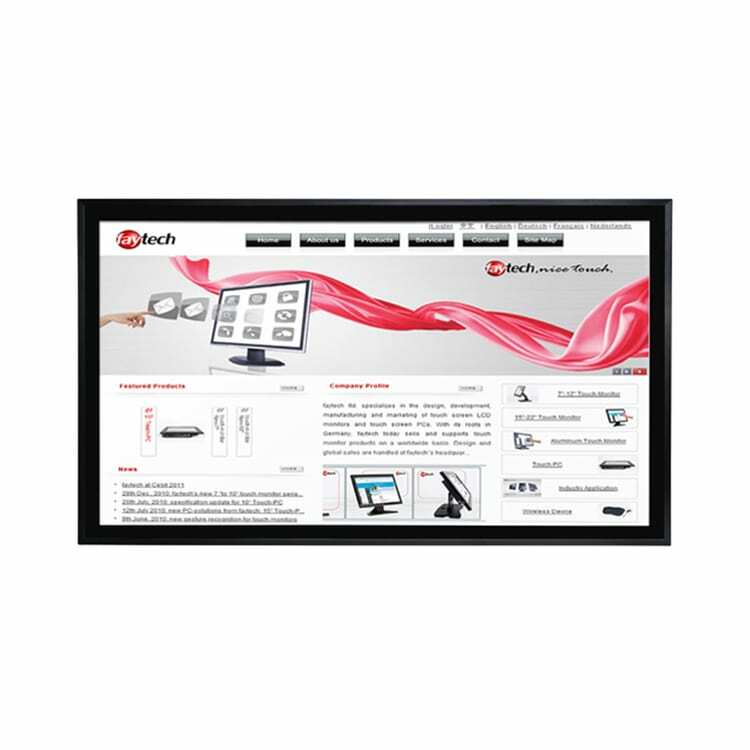 At faytech, we take pride in manufacturing large capacitive touch screen PC system designed with maximum productivity in mind while optimizing available space. If your organization is considering a capacitive touchscreen PC solution but are uncertain as to the best options for your needs and budget, then speak with one of our experts. An online chat or phone conversation large capacitive touch screen PC experts will help you understand the functionality of our devices and the best use case scenarios. We are certain we can help you identify the be touch screen PC solution for your needs.